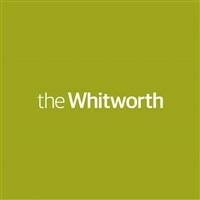 The award-winning Whitworth Gallery offers exhibitions by world leading artists and eclectic displays from internationally rated collections. Visitors can also enjoy a Sarah Price art garden and sculpture terrace. We also offer the opportunity to explore the former home of the famous author Elizabeth Gaskell, whos novels include Mary Barton, Cranford, North & South, Ruth and Wives & Daughters! This beautifully restored home has spectacular period rooms, a villa garden and a tea room for visitors to enjoy.